DxOMark just revealed the highly anticipated camera score of Xiaomi's popular bang for the buck phone, POCOPHONE F1. POCOPHONE F1 got a score of 92 points for photos and 91 points for videos. 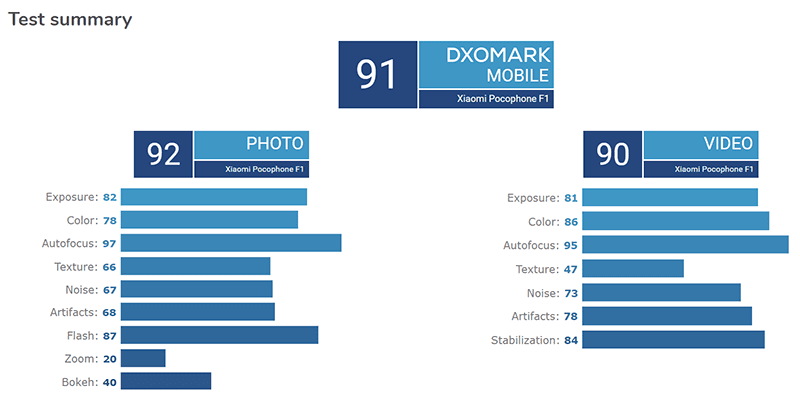 DxOMark gave it a total average score of 91 points. POCOPHONE's DxOMark score is higher than the 90 points of the ZenFone 5 and HTC U11. To recall, the F1 has a dual-camera setup with 12MP f/1.9 Sony IMX363 sensor + 5MP f/2.0 Samsung sensor w/ Dual Pixel AF, EIS, AI, and dual-tone LED flash. DxOMark said that for photos it can accurate exposures for indoors and outdoors, pleasant color in all lighting conditions, fast and accurate autofocus, and good exposure and color using flash. It has few weaknesses though like the low level of detail in low light, low detail and strong ringing using zoom, unnatural face rendering in bokeh shots. For videos, it has fast and accurate autofocus, good autofocus tracking, effective stabilization, and vivid colors in all lighting conditions. The weaknesses for videos are the low detail in most conditions, limited dynamic range, and exposure and white balance instabilities. Coming with a premium design and reasonably top-end specs, Xiaomi’s POCOPHONE F1 offers the allure of a flagship smartphone for significantly less cost than many competitors. For mobile photography enthusiasts after a bargain, the rear camera puts in a respectable performance, with decent still-image results for exposure, color, and noise in most conditions. It's some ways behind the very best high-end devices we’ve tested for image quality, though, the current crop of dual or triple-cam flagship devices are a cut above—particularly for HDR processing, low light exposure and detail, as well as for zoom and bokeh shots. This said, the F1's autofocus and flash systems are excellent, and its video performance is very acceptable both indoors and outdoors. So all things considered, the POCOPHONE F1 is an attractive proposition for the price. 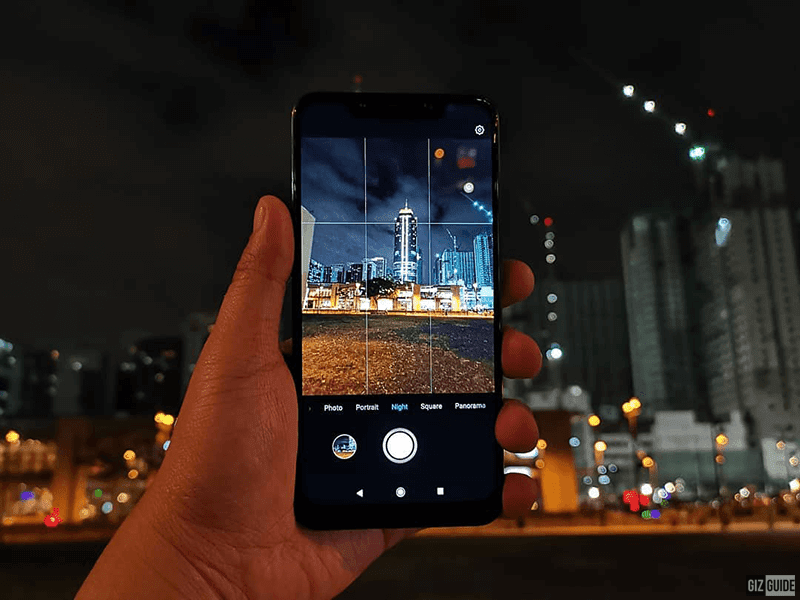 Recently, POCOPHONE also seeded an update to its camera software to add the Night mode and 960fps slow motion mode. What do you guys think? Do you agree with DxOMark?